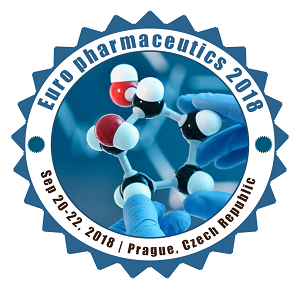 Euro Pharmaceutics 2018 invites all the participants from all over the world to attend ‘17th Annual Congress on Pharmaceutics & Drug Delivery Systems during September 20-22, 2018 at Prague, Czech Republic. The main theme of the conference is “A New Era technologies in Pharmaceutics & Drug Delivery System” which includes the prompt keynote presentations, Oral talks, Poster presentations, Video Presentations and Exhibitions. Pharmaceutics & Novel Drug Delivery Systems is a global platform to discuss and learn about research Advances in Drug Delivery Research, Drug Targeting and Design, Nanomedicine & Nanotechnology, Pharmaceutical Technology, Medicinal Chemistry and Drug Discovery, Novel Drug Delivery Systems, Pre-formulation & formulation studies, Biopharmaceutics and Biologic Drugs. Conference Series Ltd Conferences has taken the initiation to gather the world class experts both from academic and industry in a common platform.